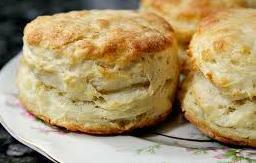 Light flaky biscuits are a snap to make. They can be mixed minutes before the meal and served piping hot right from the oven. When cooled and split open, they become tasty shortcakes when served with fresh fruit and whipped cream. 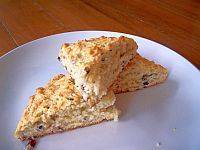 Scones rely on cold butter for their delicate, flaky texture and are served with coffee and tea or as a dessert.